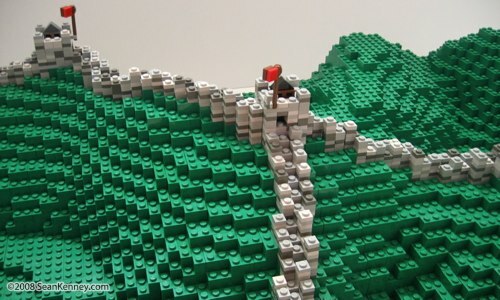 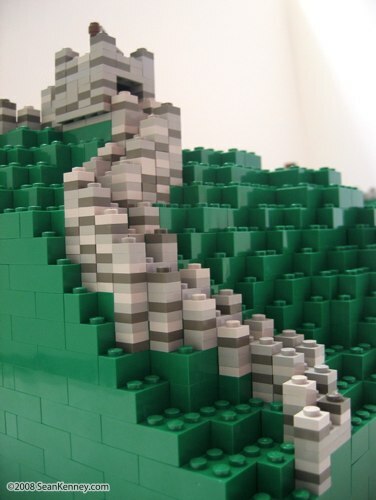 In 2006, a Hong Kong TV crew filmed a documentary called 至爱品牌 乐高 ("Lovemarks: LEGO") about the passionate followings of LEGO. 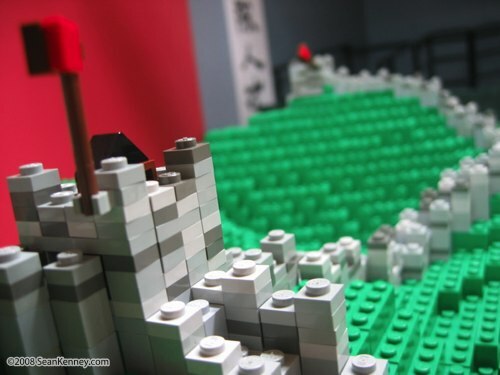 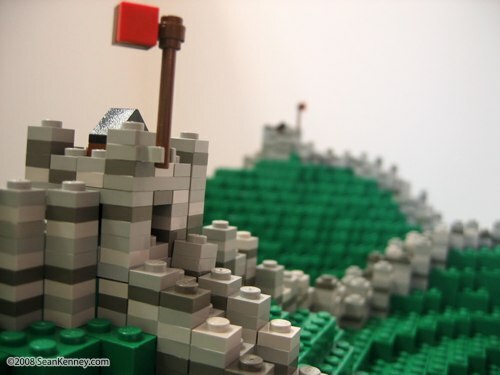 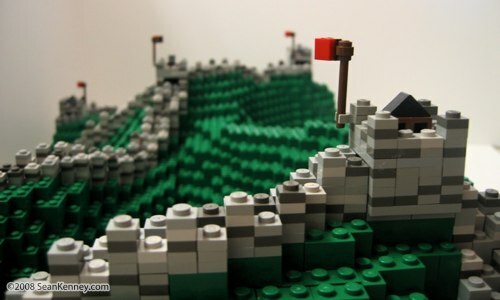 Sean flew out and built a sculpture of the Great Wall of China using thousands of LEGO bricks, and was interviewed for the documentary. 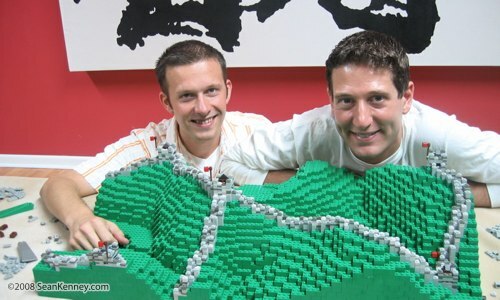 Fellow brick artist Nathan also came out to help; together, they were filmed building the Great Wall LEGO model over the course of about 90 minutes. 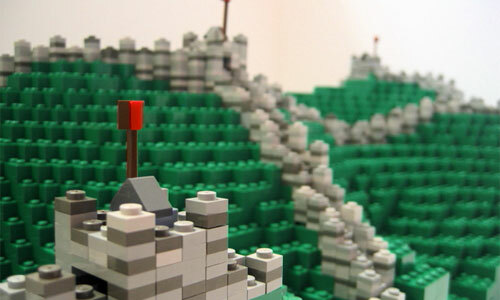 The completed model uses about 4000 LEGO elements. 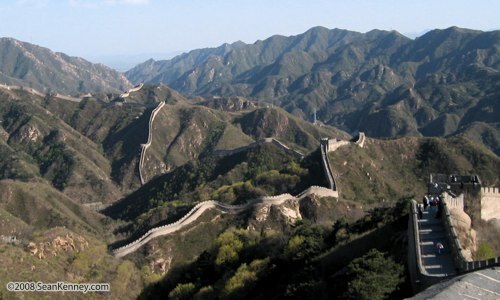 It's 30 inches long, 15 inches deep, and the highest peak is 8 inches tall. 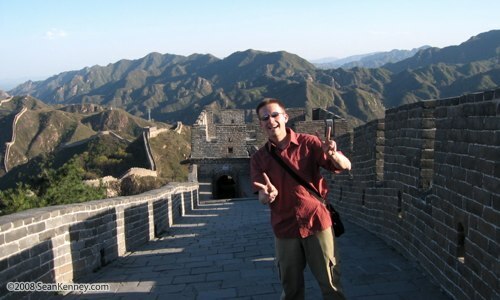 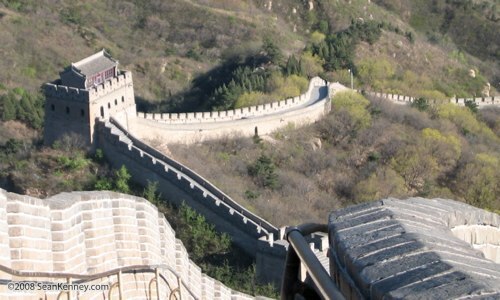 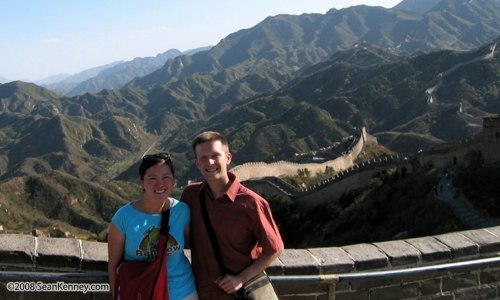 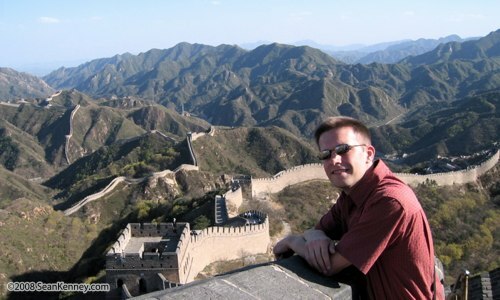 Sean visited the real Great Wall in Badaling, China, (near Beijing) prior to building the model.